Three of the animations below came from Myrna's images. "I drew all the sets for The Busy Man and produced and directed it with Ruti Cohen," Myrna Shoa. 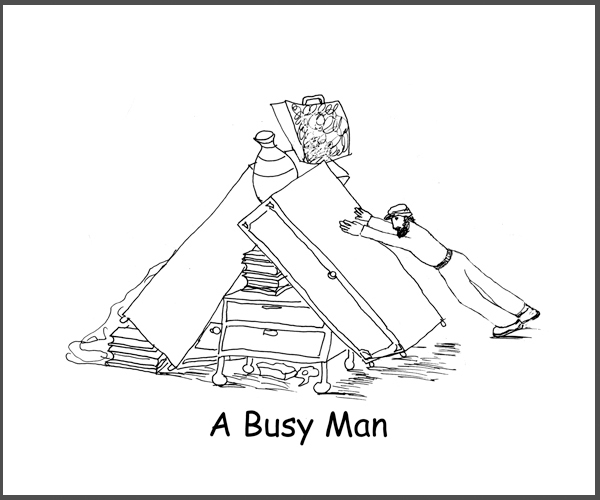 THE BUSY MAN a stopframe animation based on the story of Sisyphus. Myrna Shoa and Ruti Cohen. Peter Davies and Carolyn Joel Elva are the voices. Art work Myrna Shoa. JOURNEY TO YOUR HEART & DREAM AND DO IT are animations created from one of Myrna Shoa's own images.